The Soccer Insiders: Will FIFA Ban Alcohol for the 2022 World Cup? Will FIFA Ban Alcohol for the 2022 World Cup? I know this is a bit of a stretch, what with the WC about 10 years away, but follow my train of thought on this one and see if you disagree. 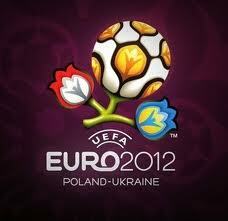 UEFA today announced that the 2012 Euros in Poland/Ukraine were going to be tobacco free. "A tobacco-free EURO 2012 is about respecting the health of our spectators and everyone else involved in the tournament," said UEFA President Michel Platini. "We uphold the highest standards of health, safety and comfort at our flagship tournament, and tobacco does not fit within them." Here's the thing. There is a very likely chance that Plantini will take over FIFA after Blatter "retires". Additionally, Sharia Law (a strict adherence to law as pertains to the Koran) prohibits the use of alcohol. It is no secret that many soccer fans also consume alcohol and some of the rowdiest, consume in excess. And during major tournaments, jails are frequently filled with drunk fans during World Cups. Since Qatar follows Sharia law, alcohol is presumably going to be banned in public, even for World Cup attendees . Many just assume that a situation similar to the Winter Olympics in Salt Lake City (a dry town per city ordinances that follow Mormon codes of religion) will happen where designated sites to drink are set up. Obviously, Qatar is going to have issues with Budweiser promoting their products pitch side, so a ban might actually happen to prevent any occasional drunken outburst or offending of the host country or their religion. Now, while we here at TSI are cool with being tolerant of all religions of a host country, we aren't cool with FIFA shoving this WC down our throats when the signs of obvious bribery are so apparent and when we as fans of one of the oldest beverages in history want to partake in a cold one, especially when temps are expected to hit 105 degrees in the shade. Do we recommend that fans drink in moderation during/around game time? Yes. Are we okay with FIFA telling us we can't drink when attending a WC? No. Because they don't want to offend those who bribed them, I mean, those who are hosting, they are trialling the ban on tobacco in Euro 2012 (in places where smoking is common) behind a facade of "healthy living". We have every expectation we will see them wanting to put up a "health" ban on alcohol during the World Cup. Just warning you now, before you get your hopes up in 10 years.